Written on February 21, 2014 . Posted in Announcements + Updates, Fine Arts. 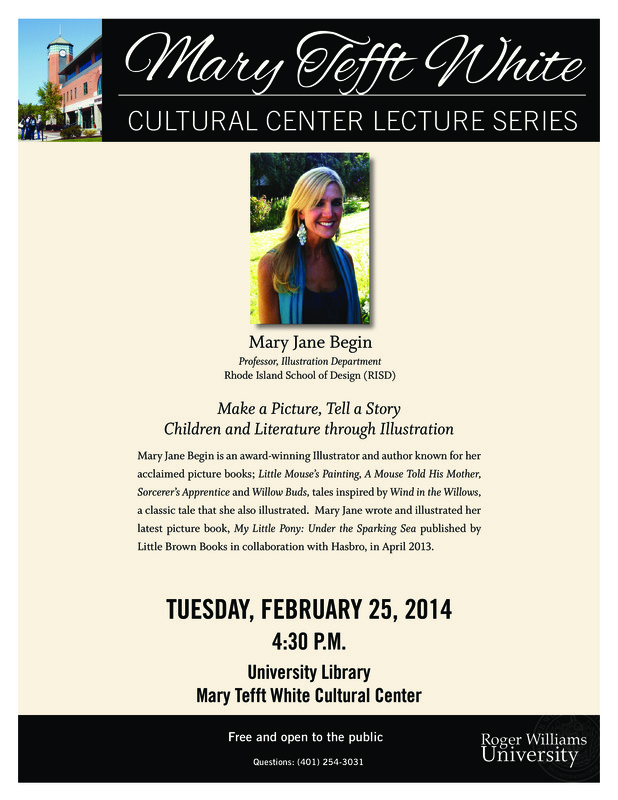 Mary Jane Begin (Senior Critic, Illustration) will present at the Mary Tefft White Cultural Center, Roger Williams University. “Make a Picture, Tell a Story: Children and Literature through Illustration” will be held at the Main Library, Tuesday, February 25, 2014, at 4:30 pm.